Stick and Poke LLC. (“Stick and Poke,” “us,” or “we“) is committed to protecting your privacy. 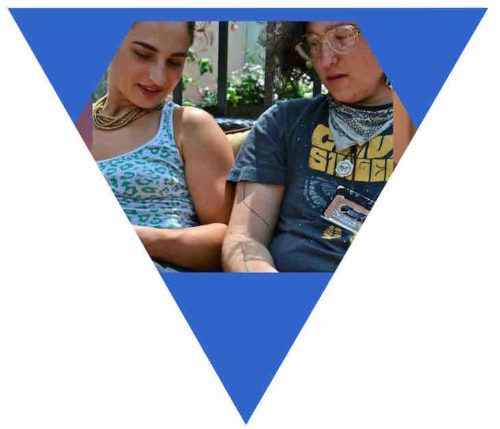 This document describes Stick and Poke’s information practices and the choices available to you regarding Stick and Poke’s use of your personally identifiable information (that is, information that can be used to identify a person, hereinafter referred to as “Personal Data”). If you are in the European Union (“EU”), see the information intended for EU residents at the end of this Privacy Statement. Stick and Poke provides a variety of web-based and mobile services designed specifically for the communication needs of sales and marketing teams (the “Services“). 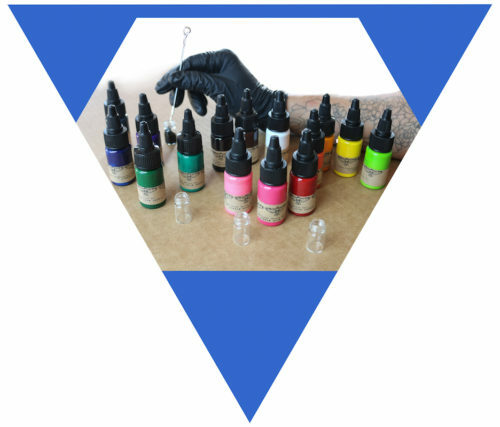 The Services are made available to users who have Stick and Poke accounts (“Customers“) via the website located at www.stickandpoketattookit.com (the “Site“). Stick and Poke and its Customers use the Services to communicate with their customers and sales prospects (“Viewers“). Some visitors may also choose to only browse the Site without using the Services (“Visitors”). We will refer to Customers, Viewers and Visitors collectively as “Users”. The Services allow Stick and Poke and its Customers to upload presentations, sales collateral and other content (“Content”) to the Site, in addition to information, including Personal Data, about Viewers. Customers use the Services to communicate with Viewers and share Content in a variety of ways, including via email and browser-based online presentations. The use of information collected through our Services shall be limited to the purpose of providing the Services for which a Customer has engaged Stick and Poke, or as otherwise described in this Privacy Statement. We will not sell your data to any third parties. Depending on how you interact with us, we process different kinds of data in different ways. Some data is automatically processed if you visit our Site or use our Services. Other data is only processed if you actively submit it to us (like using our web forms to get in touch with us). Other information about your device (type of device, browser type and version as well as settings, installed plug-ins, operating system). We process Website Usage Data to allow you to surf the Site and to ensure its functionality. We also process Website Usage Data to perform analyses on the performance of the Site, to continuously improve the Site and correct errors, to ensure IT security and operation of our systems, as well as to prevent or uncover abuse. We further process this data in aggregated or pseudonymized form to analyze trends, administer the Site, track Users’ movements around the Site, and to gather demographic information about our user base as a whole in order to improve marketing (including serving you personalized, interest-based ads) as well as the user experience for our Services and guaranteeing the safety of our IT systems. In this Privacy Statement, we assume the Customer is an individual. If, instead, the Customer is a legal entity, all explanations regarding a Customer will instead refer to the Customer’s employees or other individuals using the Services with the Customer’s account. This information is made available to the Customer in your user account and may be associated with other Personal Data that the Customer provides us. For example, a Customer can provide information (including Personal Data) to allow us to deliver the Services, to manage and administer your account, and for billing purposes. To those ends, a Customer can submit information such as names, company names, email addresses, phone numbers, billing addresses, and financial qualification information such as a valid credit card. A Customer may also submit Content for use in connection with the Services. Each Customer is solely responsible for all Content and other information it inputs into the Services. Stick and Poke will not alter Content that a Customer intends to share via screen-sharing Services and will not share Content via its screen-sharing Services with other Customers or third parties other than those with whom the Customer intends to share Content. Viewer and Other Third-Party Data: If you view Customer Content, we will process your Personal Data solely on our Customers’ behalf. This means that we only follow our Customers’ instructions and have no knowledge of or control over the extent our Customers will process Personal Data for their own purposes. When we process Personal Data under the direction of a Customer, we have no direct relationship with the individuals whose Personal Data such Customer processes. Thus, we store this information on behalf of each of our Customers. In the event you provide a Customer with this information, you do so in accordance with that Customer’s privacy practices and policies. We are not responsible for the privacy practices of our Customers, and do not access this information except with our Customers’ permission, in order to provide the Services and related support and assistance. It is each Customer’s sole responsibility to comply with applicable privacy or data protection laws. If you are a customer or sales prospect of one of our Customers, or a Viewer of Customer Content, and would no longer like to be contacted by one of our Customers through our Services, please contact that Customer directly. This information will be made available to our Customers and may be associated by us or our Customers with the Personal Data that our Customers have provided us or that you have provided to our Customers via the Services. We do not use this Personal Data except with a Customer’s permission, in order to provide the Services, and to provide related support and assistance. We do not use this information to contact Viewers, except on a Customer’s behalf and at such Customer’s direction. We will not allow other Customers to access this information. If you are a Viewer, a Customer may request that you provide it with additional Personal Data via the Services in order to view Content (such as your name or company). Customers also provide certain Viewer information to us through their use of the Services. For example, the Services allow Customers to input names, email addresses, phone numbers, and other information about Viewers with which Customers wish to use the Services to communicate. We do not use or access such information except with a Customer’s permission, in order to provide the Services, and to provide related support and assistance. We do not sell this information. We do not use this information to contact Viewers except on a Customer’s behalf and at such Customer’s direction. We will not allow other Stick and Poke Customers to access this information. We collect information about the way you use our Services (“Services Usage Data”). We process Services Usage Data so that we can facilitate, evaluate, and verify your use of the Services. We will also use the Services Usage Data for our own analyses about how the Services are used, and compile statistical and performance information related to the provision and operation of the Services. We may make such statistical and performance information publicly available in an aggregated manner, provided that such information does not incorporate identifiable Customer data and/or Customer confidential information. Customer Support Data: You may make a request for assistance with our customer support team or submit a complaint. In this case, in order to respond to your request, we will process your IP address and contact data as well as the contents of your request. 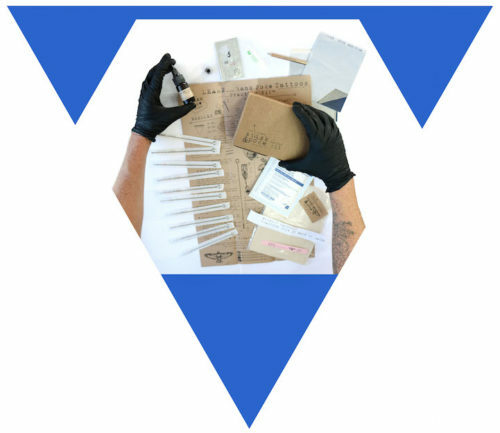 Referral Service: If you choose to use Stick and Poke’s referral service to tell a friend or colleague about Stick and Poke’s Site or Services, Stick and Poke will ask you for that person’s name, company name, and email address. Stick and Poke will automatically send an email inviting him or her to visit the Site or utilize the Services. Stick and Poke stores this information for the purpose of sending this one-time email and tracking the success of our referral program. Applicant Data: If you would like to apply for employment with Stick and Poke, you can apply online at www.stickandpoketattookit.com on our Career page. We will process your application data solely for the purpose of responding to your application unless you give us your explicit consent to keep your application on file to contact you with further job offers in the future. Business Contact or Sales Prospect Data: If you are a business contact or sales prospect that has provided us your Personal Data, we will store your data in our database so that we can follow up on previous business conversations we’ve had with you, provide you additional information about our Services, or assist you in purchasing our Services. We may also share your Personal Data with sales representatives employed with our local affiliates or resellers so that they can work with you to complete any requested purchase of our Services. Our Customers: Acting as business, we share Personal Data with our Customers. For example, we use Google Analytics to collect data on who visits our site and where they are from. Service Providers: Stick and Poke transmits data to service providers that enable us to provide our Site and market, sell, and deliver our Services. This includes the parties providing our third-party cookies and tracking tools, listed on our Cookies and Third-party Tracking Notice (available here), as well as parties providing us with services to assist us in processing transactions, including credit card transactions, providing customer support, managing customer orders (like Shipstation), hosting the Site (like “Host Gator”), collecting, storing, or removing your information, or performing statistical analysis of our Site (such as Google). We occasionally also share Personal Data with independent auditors acting on our behalf, for anti-piracy or revenue accounting purposes in connection with the internal operations of our business. We sometimes need to share your information with these companies in order for them to provide the applicable services. Business Transactions: In the event Stick and Poke goes through a business transaction such as a merger, an acquisition by another company, or a sale of all or a portion of its assets to which this Privacy Statement relates, your information will likely be among the assets transferred and, in such case, you will be notified in advance via email and/or a prominent notice on our Site of such change in ownership or a change in the use of your Personal Data, as well as any choices you may have regarding your Personal Data (including, if applicable, your right to object to such transfer). Public Authorities: Although we make every effort to preserve user privacy, we may need to disclose personal information when required by law, such as when we have a good-faith belief that such action is necessary to comply with a current judicial proceeding, a court order, or litigation or other legal process or action (whether or not initiated by Stick and Poke) to protect Stick and Poke’s, our users’ or third parties’ rights, property or safety. We will transmit data to public authorities such as law enforcement or tax authorities only in the case of a legal obligation to do so based on a request for information from the respective authority. We process and store Personal Data as long as necessary for the fulfillment of our contractual or legal obligations. Thus, when we have no ongoing legitimate business need to process your Personal Data, we will either delete or anonymize it, or, if this is not possible (for example, because your personal information has been stored in backup archives), then we will securely store your Personal Data and isolate it from any further processing until deletion is possible. Upon request, Stick and Poke will make a reasonable effort to inform you regarding whether we hold any of your personal information. Customers may update, delete, access or change their account information by editing their user, group, or team records within the account management pages of the Site. To update a Customer profile, login to your Stick and Poke account at https://www.Stick and Poke.com/ and click on “My Account” or by emailing us at info@StickandPoketattookit.com. You will then be able to change your name, address, and phone number, which notification emails you receive from us, your Live Pitch link URL, and your password. We will respond to any requests for access to personal information within 30 days after receipt. To update Customer billing information, contact your account manager or email info@stickandpoketattookit.com for assistance. If you are a Viewer, you may opt-out of receiving emails you receive from Stick and Poke or specific Customers by clicking on the “opt-out” link at the bottom of the email you received, or you may email us at info@stickandpoketattookit.com in order to opt-out. If you have signed up to receive marketing emails from Stick and Poke, you can opt-out of receiving future marketing emails by following the foregoing process. Customers cannot opt-out of receiving all transactional emails related to their Stick and Poke account, but may change their account settings (as described above) to reduce the frequency or eliminate certain Stick and Poke notification emails. Stick and Poke protects your information online by using industry standard encryption methods to prevent unauthorized access to Content, data, and Customer account information stored on our servers. To learn more about encryption generally, click here. When you enter sensitive information (such as credit card number) on our registration or order forms, or your login credentials to our Site, we encrypt that information using secure socket layer technology (SSL). To learn more about SSL, click here. We protect Personal Data in our databases, and any sensitive transmission of passwords and authentication tokens are transmitted using HTTPS (TLS 1.0/1.2). If you are a Customer of Stick and Poke and wish to have SSL enabled throughout the Services, contact your Stick and Poke account manager or sales representative. Stick and Poke and our service providers also maintain strict physical security at properties and facilities and only provide access to authorized personnel. Access to the information you provide us is restricted to that granted to our employees, contractors, and agents who need to know that information in order to operate, develop, or improve our Site or Services. You are not legally required to provide Stick and Poke with the Personal Data described in this Privacy Statement. Further, the contractual relationship that you might have entered into with us by agreeing to our terms and conditions does not imply any obligation to provide your Personal Data. However, you might not be able to use our Service to the full extent if you do not provide us with certain data or object to the use of this data. When processing your Personal Data, we rely on the General Data Protection Regulation, an EU-wide legal framework for the standardization of data protection (“GDPR”). To the extent that we process personal data not on behalf of our Customers but for our own purposes, we process this data solely for the purposes explained above under Section 1. These purposes represent our legitimate interests for the purposes of Article 6 (1) f) GDPR. In addition, we are legally obliged to provide certain information to criminal prosecution or tax authorities in individual cases upon request. In these cases, the legal basis for the processing are either legal requirements (Article 6 (1) c GDPR) or reasons of public interest (Article 6 (1) e) GDPR). Stick and Poke’s principal place of business in the United States which is a “Third Country”, under the GDPR. Third Countries are generally not considered to afford the same level of protection that you enjoy in the EU, but Stick and Poke still provides an adequate level of protection for your Personal Data. We have certified our compliance with the EU-U.S. Privacy Shield Framework and the Swiss-U.S. Privacy Shield Framework and will subject all Personal Data received from European Union (EU) member countries and Switzerland, respectively, in reliance on each Privacy Shield Framework, to the Framework’s applicable principles. To learn more about the Privacy Shield Frameworks, visit the U.S. Department of Commerce’s Privacy Shield List at https://www.privacyshield.gov/list. We have ensured that our service providers and affiliates have either certified under the EU-U.S. Privacy Shield Framework and will process all Personal Data received from EU member states in reliance on the Privacy Shield Framework or that they have been subjected to strict contractual provisions in their contract with us to guarantee an adequate level of data protection for your data. In addition, you have a right of objection to the competent data protection supervisory authority Article 77 GDPR, but only with respect to the data processing we conduct on our own behalf (as a controller). In the event Stick and Poke acts as a processor of your data for a third party, you must refer to the entity acting as controller to assert this right. In addition to the rights already mentioned, you have the right, for reasons arising from your particular situation, to object at any time to the processing of Personal Data relating to you, which is processed on the basis of Article 6 (1) e) GDPR (data processing in the public interest) and Article 6 (1) f) GDPR (data processing on the basis of a balance of interests); this also applies to profiling based on this provision within the meaning of Article 4 (4) GDPR. If you file an objection, we will no longer process your Personal Data unless we can prove compelling grounds for the processing that outweigh your interests, rights and freedoms or the processing serves to assert, exercise or defend legal claims. Please also note that, if we terminate the processing due to your objection, the Site may no longer be available to you or only to a limited extent. The objection can be made form-free and should be addressed to: privacy@Stick and Poke.com. Stick and Poke’s Site is not intended for use by children under the age of 18 and we do not intentionally collect any information from users under the age of 18. 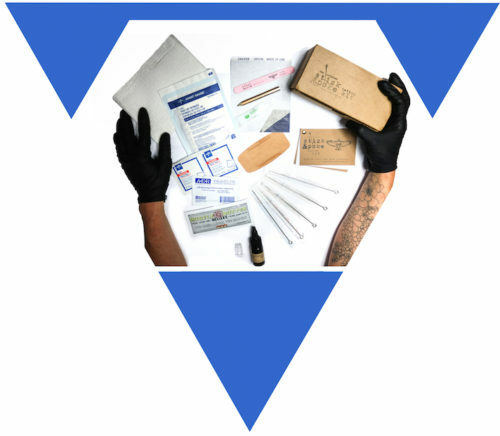 If a parent or guardian becomes aware that their child has provided Stick and Poke with Personal Data or that we have otherwise inadvertently collected this information, contact us at info@stickandpoketattookit.com, so that we may immediately delete the information from our servers. Stick and Poke reserves the right to change this Privacy Statement. We will provide notification of the material changes to this Privacy Statement by email or by posting a notice to our homepage on the Site and other places we deem appropriate at least thirty (30) days prior to the change taking effect.